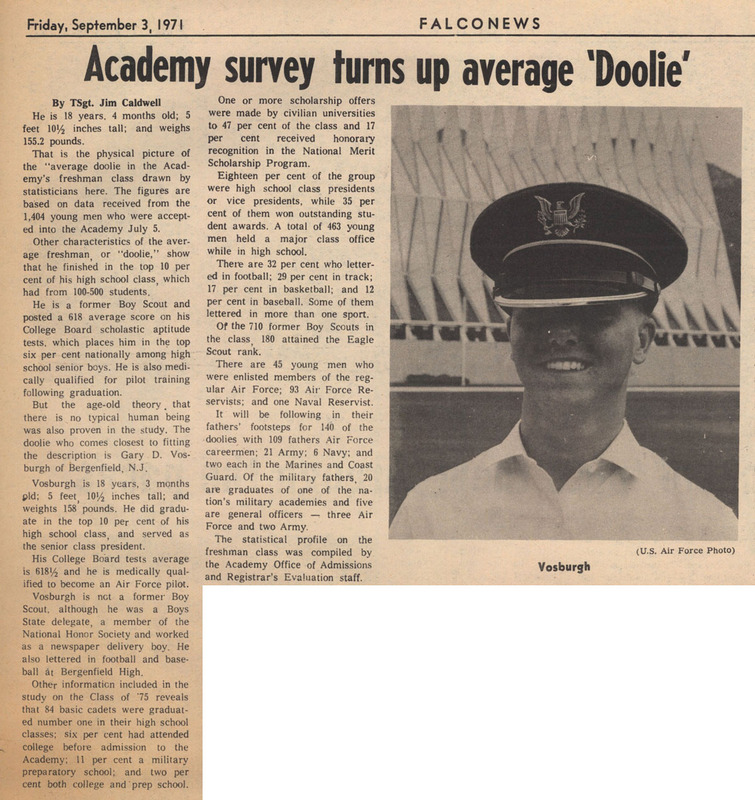 • Embodiment of Cadet Mythology: Ed Balducci as "Nino Baldacci"
• The doolie class who moved the Minuteman III missile from the Fieldhouse almost halfway up the Old Dorm ramp . . .
• The class with the "Phantom Feeler"